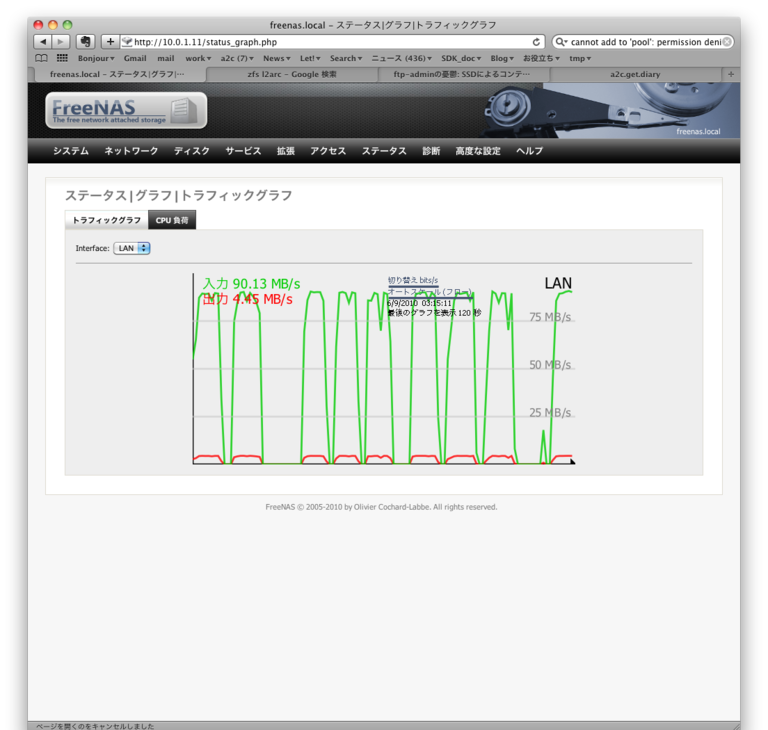 自宅ファイルサーバ構築メモ その3 FreeNAS 導入 最強のNAS OS = FreeNAS - When it’s ready. FreeNAS is an embedded open source NAS (Network-Attached Storage) distribution based on FreeBSD, supporting the following protocols: CIFS (samba), FTP, NFS, TFTP, AFP, RSYNC, Unison, iSCSI (initiator and target) and UPnP. It supports Software RAID (0,1,5), ZFS, disk encryption, S.M.A.R.T/email monitoring with a WEB configuration interface (from m0n0wall). FreeNAS can be installed on Compact Flash/USB key, hard drive or booted from LiveCD.